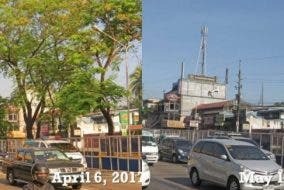 When in Manila, if you want to have a different dining experience, there’s no doubt you’ll love Bohol. It’s different because it’s a moving dining experience — literally! The Loboc River Cruise serves authentic Filipino dishes and offers a good view of Bohol’s natural beauty. Loboc River Cruise is very smooth so there’s no need to worry. It’s as if you’re eating on a normal restaurant but with the view of a clean river and a verdant landscape. As you eat, you’ll also find delight in looking at people do their routine such as mothers doing their laundry, children swimming, and fathers on their boats. Loboc River Cruise only serves fresh foods. With a nice table setting and well prepared foods, you’ll get to savor the authentic delicious taste of our own dishes! For me, the best part in the Loboc River Cruise is the music. In every floating restaurant — and there’s a lot to choose from — there’s a different band playing good music. You can’t help but sing with them and even dance to the beat! There’s also a nice stop at the Loboc River Cruise in which a group performs a number of Filipino dances. The awesome part is it is interactive! You can try the dance on your own and have a good time! Loboc River Cruise provides a relaxing atmosphere which is perfect for any time of the year. At the end of the river, there’s a waterfalls which is sure to make you feel one with nature. At this point, the band stops playing for a while to give way to the music of the earth. The owner of one of the pioneer of floating restaurants, the Village Floating Restaurant, Lourdes Sultan, was proud in saying that all of the visitors who experienced the Loboc River Cruise expressed satisfaction. She believes that it’s now considered as a must try in Bohol. The Philippine Tour Operators Association (PHILTOA) supports the Loboc River Cruise and Bohol tourism in general. You could find other tour options at the upcoming Philippine Travel Mart (PTM) on August 10-12 at the SMX Convention Center. When in Manila, get to taste authentic Filipino dishes while enjoying the beauty of our own land! Have a unique dining experience at the Loboc River Cruise! 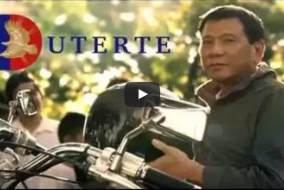 Is This A Leaked Video Of Duterte’s Campaign Ad?